The new assembly line for the mobile crushing plants Lokotrack will increase the production capacities of Metso factory in Tampere and will increase the level of security and protection of labor. An investment of approximately one million euros will allow to significantly decrease the time for assembly of the equipment. Construction of the new line will begin as early as this summer and the production of the first Lokotrack plant is scheduled to take place in the first quarter of 2018. At the factory in Tampere in one work shift the assembly line Speedline 1 produces one crushing plant of Compact series weighing up to 50 ton. 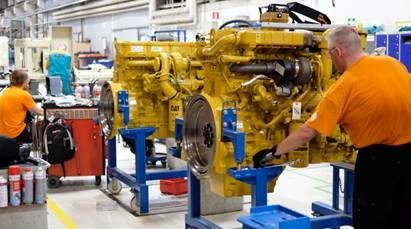 The new assembly line will increase the plant capacity by approximately 30% or more. “The time for assembly of equipment will be significantly decreased. At the same time it will allow to free a lot of space for assembly of large-size crushers and plants Lokotrack”, - says Juha Erkkila, Project Manager. “Taking into account the increase of demand for the mobile crawler crushing plants, Speedline 2 line will be used to produce such models as LT120, LT300HP/GP, LT220D, LT106 and LT1213”. The launch of the new line will increase the level of safety for the personnel as well as for visitors of the factory. “The level of safety was increased by conveniently arranging the parts for assembly in spacious premises. Additionally, a special platform will be mounted providing a safe and comfortable access for the visitors”, - continues Juha Erkkila. Metso is the world leader in the manufacture of mobile crushing plants. Usually the equipment is operated on a contractual basis that’s why the plants should be suitable for transportation from and to production sites. Metso Lokotrack line represents over 30 years of experience in developing mobile crushing equipment, use of modern materials and easiness of operation. Lokotrack plant of Urban series, designed for work in urban environment was introduced to the market just this spring. The new solution facilitates process operations and guarantees high level of protection from noise, significant decrease of dust emissions and minimal impact for the environment. 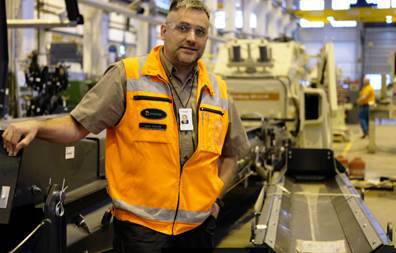 Production of Lokotrack plants is centralized at the Metso factory in Tampere (Finland), in addition to that the equipment is also produced at the factories in India and China.